Atlanta Wrestling Entertainment has scheduled their next show for February 21, 2016 at The Enclave (708 Spring Street, ATL). The full card has yet to be finalized, but the main event is set as Georgia Wrestling Crown champion, Jimmy Rave will take on AR Fox. Kimber Lee will be in action. Aaron Epic will take on Gary Jay. I have to plead ignorance on Gary Jay although he has a great look. Aaron Epic was really impressive against Lio Rush the other day. Tripp Cassidy will appear. He impressed AWE at at their Open Tryout Sunday back in November according to their FB post on the subject. 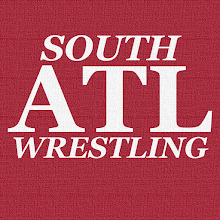 As the card is announced I will try to keep you informed via South Atlanta Wrestling or SAW's social media sites. As the show gets closer we will be sure to have a full rundown of the final card. As I hope you already saw, we had a great time at the first show and cannot wait to get back in February. I hope to see at least some of you there.